The better way to take fish oil. 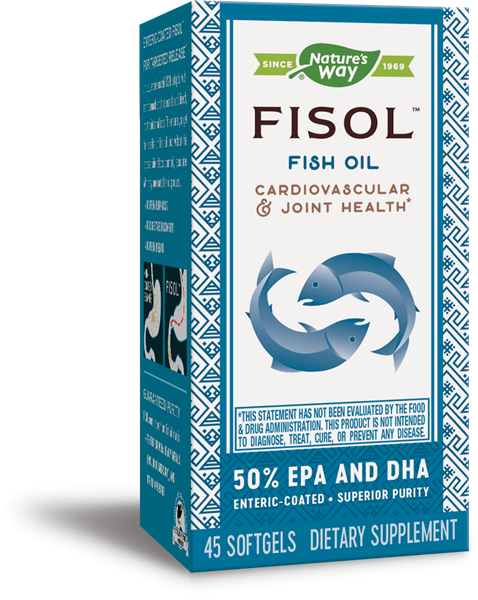 Fisol is a superior blend of EPA & DHA containing 30% EPA (Eicosapentaenoic Acid) and 20% DHA (Docosahexaenoic Acid). Targeted Release™ Fisol’s unique enteric coating ensures the following key benefits not found in uncoated fish oil supplements. Supportive but not conclusive research shows that consumption of EPA and DHA Omega-3 fatty acids may reduce the risk of coronary heart disease (see nutrition information for total fat and cholesterol content).